Here at Brea/Orange County Plumbing Heating & Air Conditioning we know that a comfortable work environment is crucial for your employees to stay happy and productive. That’s why our company offers top-notch commercial AC repair services to different businesses and industries in Brea/Orange County and the surrounding area. If you want to keep your commercial property comfortable throughout the year, you will definitely require professional maintenance service of your AC unit. 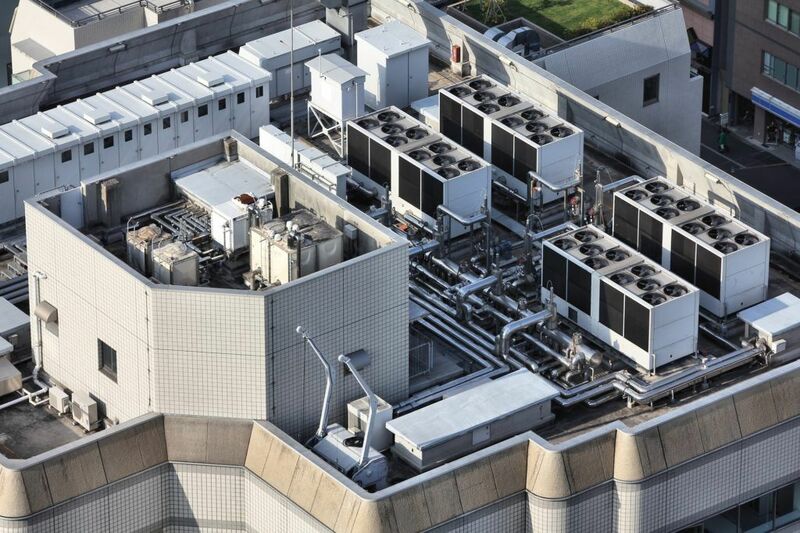 It will ensure your commercial air conditioning systems operate as efficiently as possible and will also reduce the risk of damage to your entire system. Usually the negligent treatment of your equipment will cost you more than regular on-time maintenance of your commercial AC unit. Even if you face a minor problem with your unit, contact a professional repair service provider ASAP. The warning signs indicating that your commercial AC system malfunctions should not be ignored. If you do ignore them, any further repairs will be more complicated and likely more expensive than if you had contacted the professional at the first sign of a problem. If your commercial air conditioning system is unable to maintain proper temperatures or costs more to operate, call Brea/Orange County Plumbing Heating & Air Conditioning right away. You may require the repairs that only a professional can provide. Reliable Service: All of our commercial AC technicians are fully licensed and insured, so you can rest assured that the safety and accuracy of our services is guaranteed. 100% Customer Satisfaction: Commercial AC issues can make business owners and property managers nervous, but this won’t happen if you work with our team. Our services are unmatched in the industry and our reputation speaks for itself. Fast Response Times: Time is money when it comes to a commercial AC problem, and we will get to your property as soon as possible to provide an adequate solution for your particular situation. Some things can be postponed, but commercial AC repairs cannot wait. Call Brea/Orange County experts today to make sure that your commercial air conditioner can keep your property comfortable throughout the whole year. We are more than able to help your commercial ventures succeed by providing superior commercial AC repair and installation services in Orange County and the surrounding areas.